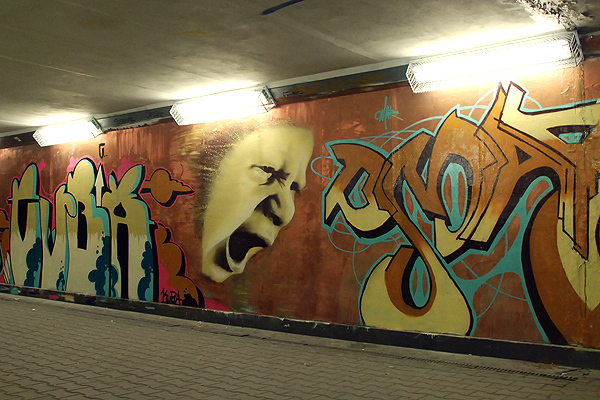 Graffiti in the tunnel under Borelowskiego st. This is a really interesting scene. I really like how you've used the top and bottom of the wall to frame it, and the diagonal way in which you've set it in the overall frame.